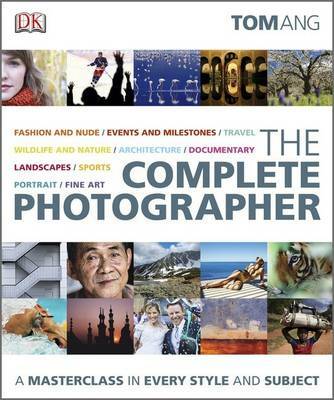 This title helps to master 10 genres of photography, with 20 top international photographers. Completely unique in its broad appeal, scope, and stunning photography; this will appeal to anyone interested in photography, whether beginner or advanced. Behind-the-scenes features introduce the work of 20 top international photographers, showing in step-by-step detail how an idea progresses from concept stage to final image. Based around tutorials on 10 different genres, covering both technical and creative aspects of photography, Tom Ang takes you through assignments, image analysis, and critiques to work on and follow.